Humans have come a long way since caveman times. Our posture, communication techniques, and hygiene habits have all evolved significantly. Yet, there’s one thing we still have in common. The ability to build a badass fire and use it for everything from socialization to survival. While fire itself got discovered millions of years ago, the idea of using it as a survival technique has been around for at least 300,000 years. Outdoor enthusiasts know many methods to start a fire, yet there’s one tool that continues to stand the test of time. 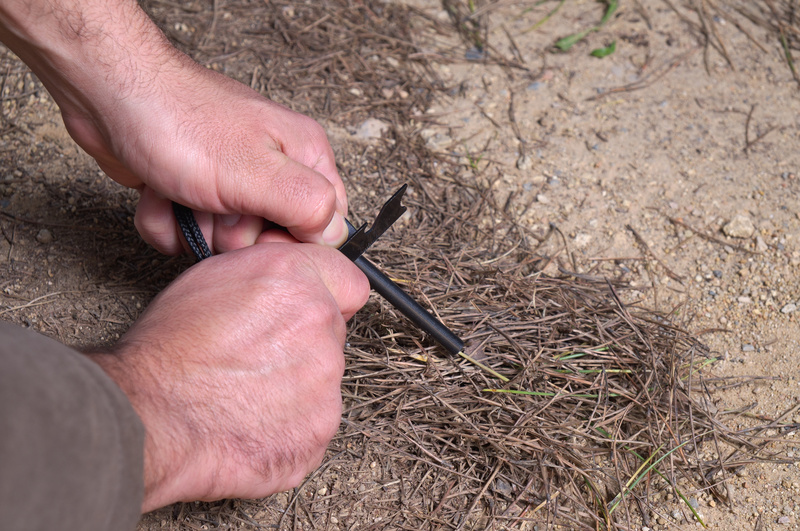 Read on for 5 reasons you need a ferro rod in your survival kit. What Is a Ferro Rod and How Does It Work? A ferrocerium rod is a technical term for a neat tool that can start fires. It’s kind of like a waterproof match that’s made of different metals. These consist of iron, cerium, and lanthanum to name a few. When the rod gets rubbed against a rough or sharp surface it creates sparks. You can even use a steel knife or a rock to start your fire. It has no need for lighter fluid. So, how to use a ferro rod, you ask? The correct way to use the rod is to hold it at a 45-degree angle over your tinder. Touch the scraper to the top of your rod and then pull the rod backward. Most will have some type of handle that makes the rod easy to grasp and move against the striker. You may need to strike the rod a few times to get the fire going. Now, on to 5 ways this tool can help save your life. Long before the days of home heating furnaces, it’s how humans stayed warm. When the night turned chilly, they found a secure cave and started a big warm fire. It’s important to note that the sparks that emerge from a ferro rod throw a lot of heat. About 3,000 to 4,000 degrees Fahrenheit to be exact. This makes them quick and convenient for starting a fire to keep you from freezing to death. Note that the shape of your fire matters. Use a cone shape for your tinder to let air flow through and the fire will burn longer and hotter. The tool is ideal for use in cold conditions or where high winds are present. It can even still work if you get it wet. Hence it’s superiority to lighters and matches. If you get caught in a downpour, use the fire to dry your soaking clothes. Place sticks in the ground near the fire to hang your clothes up to dry. In the instance that your food supply runs low, you’re going to need to learn to live off of mother nature. Fire is going to be your best friend. Many meals can get prepared over an open flame, such as fresh fish, ducks, or rabbits. It’s an excellent alternative to eating suspicious berries or starving to death. You can also use your rod to light your own camping cookers, grills, and stoves. You may even find yourself in a situation where you need boiling water. Starting your own fire allows you to do this in a matter of minutes. Boiling water can kill bacteria and viruses. This is more than helpful when drinking water in the wilderness. It can sterilize instruments to lower risk of infection when dealing with wounds. Unless you’re facing a zombie apocalypse, your enemies are likely wildlife animals. A ferro rod striker can come in handy for starting fires to ward off raccoons and other small beasts of the night. Don’t forget fires help make mosquitos buzz off. There is even evidence of early man using fire to make tools and weapons. These are important survival techniques for protecting yourself in the great outdoors. Still worried about coming across those zombies? Use your ferro rod to create flaming arrows. Learning to make a DIY bow and arrow is an important self-defense survival tool. Lost in the wilderness? Use your fire steel rod to start a large fire. It will alert other people on the ground or sky that you are in need of help. If lost during the day, focus on sending a big smoke signal from your fire. At night, you can also build a large torch and light it using your rod. This compact tool is a must to include in your survival kit during camping trips and excursions. They are in no way fragile, so you can even throw them in your back pocket until needed. Some fire starters also come with other gadgets built-in, such as bottle openers. At least you can pop open a craft beer while you wait for help to arrive. Large ferrocerium rods are reliable when batteries can fail on you. Larger rods will also last longer than smaller ones. You can expect to light hundreds if not thousands of fires with a quality model. Use them to start a fire for a source of light. This way you can conserve battery power for other important things. You can also heat up small stones and use them in your sleeping bag for extra heat. At night, you can turn off lamps and flashlights during camping. Batteries can get saved for radios and other emergency electronics. It’s important to be smart about conserving energy when traveling in a group. Getting lost with friends or loved ones means you’ll need extra food, water, and a source of heat. A ferrocerium rod can help conserve energy for everyone in your party. Proper survival gear is a must for campers, hikers, and other outdoor enthusiasts. Anything can happen out in the wilderness. So you need to stay prepared with the right tools and techniques. The ferro rod is one of the most compact and convenient gadgets to have on hand. It will protect you from the elements, starvation, strange animals, and getting lost. Before your next big adventure, check out our blog. It’s filled with more tips and techniques for surviving in the wilderness.